Liverpool’s midfield has come under much scrutiny this term, but by 2018/19, it could a thing of beauty! Today, we’ve been linked to Lazio’s phenomenal 22-year-old Sergej Milinković-Savić – who’s been tearing up trees in Serie A this term. The Serbian has four goals and four assists so far in 2017/18, helping his Italian club rise to fifth in Serie A, just four points behind champions Juventus with a game in hand. 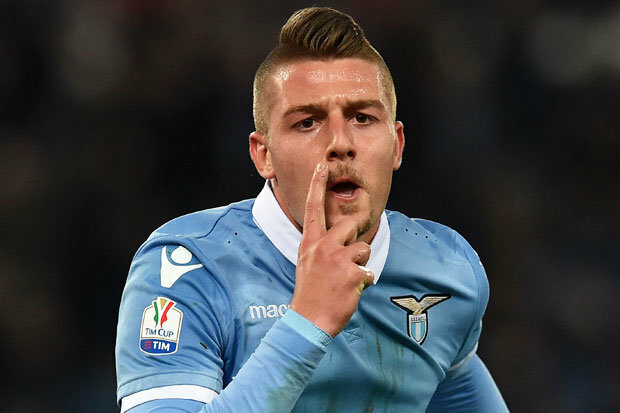 Football Italia claim that Lazio have stuck a £62.3m price-tag on his head, aware that there’ll be plenty of suitors for his signature in the coming windows. Liverpool sold Lazio Luis Alberto not long ago, so will no doubt have an already established dialogue with the Italians. Milinkovic-Savic would be a perfect Emre Can replacement, with the German departing for Juventus, but a seemingly very expensive one. Perhaps it would be smarter for Liverpool to focus on Leon Goretzka, who is arguably slightly more developed than Milinkovic-Savic at the same age and crucially would be available on a Bosman from Schalke. In our past two matches, fans have criticised the midfield following our draws with Sevilla and Chelsea, and at EOTK we agree it’s an area that requires bolstering. Naby Keita (already confirmed) and ‘one other’ would go down very nicely.